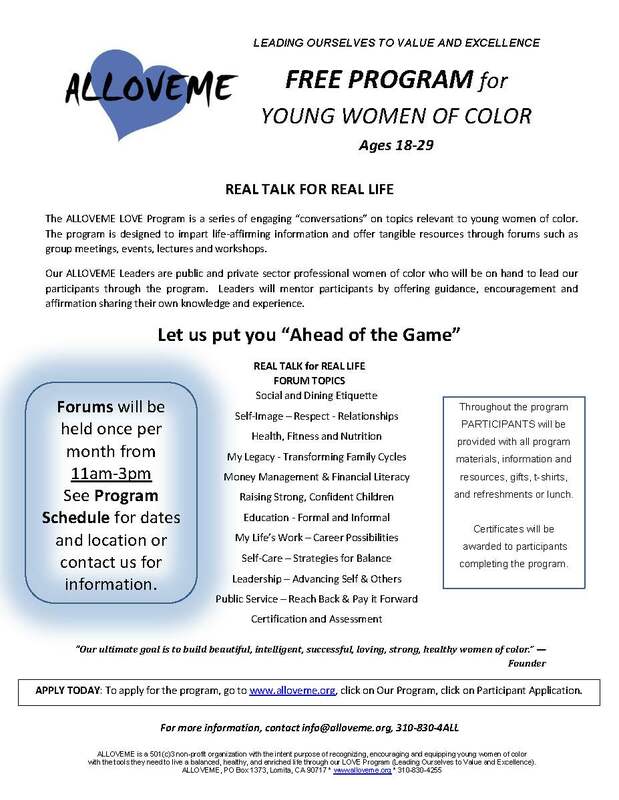 In addition to our rap sessions, ALLOVEME wishes to extend our hand in engaging our young ladies in cultural awareness events. These events can include community events, museum tours, lectures with cultural icons, college tours, women’s health fairs, music and arts events and more. To specifically donate to sponsor a young ladies, please donate here. Please donate online using PayPal, or send us a check to the address below.